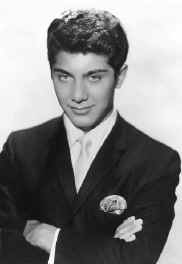 Paul Anka was unique among late-fifties teen idols in that he was a successful songwriter. Paul Anka was born in Ottawa, Ontario, on July 30, 1941. Anka was small with a stocky build and drove himself to excel in sports, but his real love was music. At 11, he was a regular act in the nightclubs in Gatineau and Hull in the province of Quebec. These performances consisted mainly of impressions of the "pop" singers of the day. At Fisher Park High School, Anka was part of a vocal trio called the Bobby Soxers. Popular locally, he often opened for the Four Aces and the Rover Boys. It was at this time Anka began composing songs which were based on his personal experiences. He also began taking piano and guitar lessons. Anka auditioned for local television shows at age fifteen with no success. In 1956 he went to Los Angeles where he stayed with an uncle that worked at the local civic playhouse. It was at this time that Anka's uncle became interested in Paul's music and arranged for the industry contacts he needed. An appointment was made with Modern Records where they were introduced to Ernie Freeman, A&R man for the label. Freeman was impressed with Anka and invited him to his home to rehearse. Soon, Paul recorded a couple songs he had written for Modern, but they did poorly, selling only 3,000 copies. Disappointed Anka returned to Canada, made plans to attend college and considered a career in law or news reporting. During Easter vacation, Anka went to New York with the Rover Boys, a Canadian quartet. Anka went along with them when they met with Don Costa, the director of artists and repertoire for ABC-Paramount, the label with whom they recorded. Initially, Costa was more impressed with the number of Anka's completed songs then with his singing ability. Soon Paul's father was called to New York and a contract was signed. Anka was then sent to voice coaches and received training in song composition. Within a month, ABC-Paramount was ready to record Anka's "Diana." The subject of "Diana" was a plea from a teenage boy who was in love with an older teenage girl. The music was based on a popular Latin rhythm called cha-lypso, a modified cha-cha done to a calypso beat. Cha-lypso had been invented a only a few months earlier, when teenagers needed a special step so they could dance to Mickey and Sylvia's "Love Is Strange." It has been reported that "Diana" has been recorded over three hundred times in sixteen countries between 1957 and 1963. Worldwide Anka's version reportedly has sold more then nine million copies. Irving Feld who owned a chain of record sores in the Northeast, as well as the man who financed the rock and roll caravan "Biggest Show of Stars," recognized that "Diana" had the makings of a hit and signed Anka for the fall tour. By the beginning of the tour on September 6, "Diana" was at the top of the charts..
His next single "You Are My Destiny" reached the Top Ten in early 1958. Anka then released singles every few months. However, they didn't do nearly as well as his past records. By early 1959, many thought Anka's might have been a one hit wonder with "Diana." Then, Anka was chosen to play a role in a the low budget movie "Girl's Town". In the movie he sang "Lonely Boy," which became one of his biggest hits. "Lonely Boy" was followed by "Put Your Head On My Shoulder," "It's Time To Cry," "Puppy Love," and "My Home Town," all Top Ten Hits. Anka was now in demand around the world and appeared at the London Palladium and other English venues in November, 1957. In January he toured Australia with Buddy Holly. Now eighteen, Anka began changing his style and image to appeal to the adult customers of the supper clubs. In 1959, he debuted at the Sahara Hotel in Las Vegas. A year later he became the youngest performer to headline the Copacabana. The result was his popularity began fading with teenagers. Still he had some good sized hits, but they had trouble generating top record sales. In 1962, trying to reach a broader audience, Anka switched record labels and signed with RCA Victor. His first few records sold well, but he also had some failures. During the five years after 1963, Anka failed to place a single on the charts. In 1971, he signed with a new label Buddah Records, whom he thought was more in tune with his record buying audience. Anka released a few singles for Buddah, but his songwriting was clearly out of style. In 1974, Anka signed with United Artist, a company known for it's middle of the road music. His first release "(You're) Having My Baby" went to #1. Based on feedback from a new feminist movement Anka began performing the song as "(You're) Having Our Baby." His songs were now being directed to the new "adult contemporary" market. By the 1970s, Anka's show was built around big-band standards, his own hits, and songs he had written for others. Anka was credited with writing twelve songs that became gold records, most of which he recorded. However, Anka wrote a number of songs for others including "My Way," Frank Sinatra's signature song. He also wrote "It Doesn't Matter Anymore" released by Buddy Holly just before his death. "She's A Lady" was a million seller for Tom Jones. Anka also wrote the theme music for "The Tonight Show". In the late 1970s, Kodak used his "The Times of Your Life" for a successful advertising campaign. Today Paul Anka is a multimillionaire, due to his night club successes, record and publishing royalties, and investments that include two publishing houses. He owns a personal jet, large ranch near Monterey and a home in Las Vegas. In 1991, he bought a percentage of the Ottawa Senators hockey team. Paul Anka became a United States citizen in August, 1990.